until we all attain to the unity of the faith and of the knowledge of the Son of God, to mature manhood, to the measure of the stature of the fullness of Christ, so that we may no longer be children, tossed to and fro by the waves and carried about by every wind of doctrine, by human cunning, by craftiness in deceitful schemes. As I reflect on my upcoming pastoral anniversary I've also had cause to reflect on three of my most significant paradigm shifts over my pastoral career. As a teenager I knew that God had me to be a minister. I cut my teeth as a preacher on the streets of Geelong in my teen years. I served as a Youth Group leader in two Victorian churches, then as a Youth Pastor in a Melbourne church. Following this I was made the Assistant Pastor in that same church where I continued to serve for a year. Just after the birth of our first child, Kim and I pioneered a church just outside the centre of the city of Melbourne. After three years we handed this church over to a new pastor as we sensed God calling us to move. We had several pastorates offered to us but none were God's will for us. One Friday night I heard God speak into my heart, "I'm sending you to Tasmania." We arrived in August 1995, uninvited, unknown, and probably unwanted. The first Sunday here was September 3rd and I was asked to speak at Legana Assembly of God. The former Senior Pastor's last Sunday was September 10th. After his last sermon at Legana I was voted in as the new Senior Pastor by all 17 members and commenced duties on Sunday September 17th, 1995. Since then I have had three significant paradigm shifts. When I was pioneering our church in Williamstown Melbourne I was keen to grow our church through evangelism rather than through transfers from other churches. One of our main evangelism outreaches was when we invited Creation Ministries International's Dr Don Batten to hold some outreach meetings. We hired the Hobson's Bay High School auditorium and leaflet dropped the entire community. I was not only a convinced creationist, I was convinced a Young Earth Creationist. The way I had been taught to read the Bible was to take everything literally. When Genesis 1 described God creating in specific "days" I saw no alternative than this being a literal series of 24 hour days. Added to this was a rough calculation by Bishop James Ussher in the seventeenth century who had added up the genealogies in the Bible to arrive at a creation date of 4004BC, which meant that in 1992, the universe was around 6,000 years old. I was taught that the only alternative to this Biblical view of how the world began was Darwinian Evolution which starts with a random uncaused "Big Bang". From this unlikely cause of the universe a primordial prebiotic soup was hit by lightning and the first life was assembled which then eventually evolved into all the different life forms on the earth. Around the time of our Creation Outreach, my non-Christian father inlaw, who was a professional scientist and engineer, began to challenge my belief in the God of the Bible. He asked me a loaded question. "How could the flood of Noah be a global flood since there is not enough water on, below, or above the earth to supply all the water needed?" I consulted Dr Batten with this question. The answer I received and passed onto my unbelieving father inlaw only led to him being further hardened to the Gospel. I was told that prior to the worldwide flood of Noah, there were no mountains, therefore there would be the need to have as much water as we would need today. A verse out of the Psalms was cited to prove this - despite Psalm 104:8 saying that God originally created the earth with valleys and mountains! After we relocated to Tasmania I still held a Young Earth Creation paradigm. I was a subscriber to the Creation magazine and used their resources. At this time, I still believed that this was the only way to understand Genesis 1. It was not until Pastor Ron Wilson, from Hobart Assembly of God, mention something to me about my adamant Young Earth Creationist position with a comment that stunned me, "That's not the only way to look at Genesis 1." I knew Pastor Ron to be a man who loved God and the Word of God. He was thoroughly committed to the inerrant, infallible, divinely inspired Word of God. 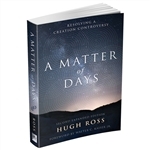 Yet, he suggested that I read a book that I had never of, "A MATTER OF DAYS" by an author I had never heard of, Dr. Hugh Ross. I did. Rather than pitching "science" as the enemy (as Young Earth Creationism does) Dr Ross showed from Scripture that God invited people to use science to investigate the claims of the Bible. God's Word doesn't say that the observable world was an unreliable source of revelation about God's creation. On the contrary. He also showed that God revealed His truth authoritatively through the Bible, but that the Bible also said He revealed generallythrough nature (the observable Universe). First, by the creation, preservation, and government of the universe; which is before our eyes as a most beautiful book, wherein all creatures, great and small, are so many letters leading us to see clearly the invisible things of God, namely, His eternal power and deity, as the apostle Paul says (Rom.1:20). All which things are sufficient to convict men and leave them without excuse. Second, He makes Himself more clearly and fully known to us by His holy and divine Word, as far as is necessary for us in this life, to His glory and our salvation." This alone was a huge paradigm shift for me. I had been taught that "secular" science was corrupted by sin and that secular scientists could not look at the evidence properly because they were not born-again. Dr. Hugh Ross pointed out in his book that the Bible no where teaches this! Ezra 7:1-5 and I Chron. 6:3-14 shows that six names are left out in Ezra 7:3. In Exodus 6:16-20, four generations are given from Levi to Moses, yet in First Chronicles 7:23-27 lists 11 generations (many more than four) between Levi's brother Joseph and Moses' successor Joshua. The structure of the genealogies in Genesis also implies that the names could have been carefully selected with deliberate omissions, as in Matthew 1. Both the Genesis 5 and 11 genealogies include ten names, and each ends with a father having three sons. Enoch, the key name in the Genesis 5 list, is seventh in the list, paralleling Lamech, the seventh in the list of the generations of Cain's descendants (Gen. 4:17-19). There is a huge difference in time taken between four generations and eleven generations! And this is just one example of how the genealogies cannot be used accurately determine dates. As one Biblical Hebrew scholar said about the peculiar way the Bible records genealogies, it would be perfectly in keeping if the Bible said David was 40 when he begat Joseph who was betrothed to Mary. But it wasn't this information alone which caused me see that Young Earth Creationism was not a faithful reading of the Scripture. After all, I still couldn't reconcile an Old Earth position and death before the Fall. Since Romans 5:12 stated there was no death in the Universe before Adam and Eve fell into sin, this verse alone made Old Earth Creationism impossible to reconcile with Scripture. But Dr. Ross dealt with this in his book as well. This is a major tenent of Young Earth Creationism - that Adam introduced death into the Universe - and it is entirely based on this verse (there are no other verses in the Bible which support or state this). Taking a slower look at this verse though we notice that it doesn't say what it is claimed to be saying. It does not say that Adam introduced to death to the world of all living things - "and so death spread to all men because all sinned". Death came to mankind- not all living things. This was a huge paradigm shift for me. It also enabled me to reconcile some of the other Creation passages of the Bible conisistently. For example, Psalm 104 is a Creation Psalm. To claim that since the last few verses of this Psalm are the Psalmist's reflection on God's creation with a prayer (note the opening phrase of this closing section- "I will sing to the Lord...May my meditation be pleasing to Him..." vss. 33-34) and that sinners be consumed and the wicked be no more means that this not a Creation Psalm is an exegetically weak argument. The Psalm states that lions were created to seek God for their prey (which necessitates the death of other animals from the beginning of creation). God has designed the digestive systems of lions to eat meat. To suggest that all lions were vegetarian and then suddenly carniverous when Adam sinned is to state something that the Biblical Text does not say or invoke some kind of hyper-evolution. Far from death being a bad or morally evil thing, God had perfectly designed death to fulfil His purpose of one day vanquishing all evil from the universe. It is the result of God's perfect design that certain bacteria only has a three-hour life-cycle, and that rabbits only live for about 12 years - not the result of the Fall. It is a foundational principle of God's redemption of His creation that reaches its ultimate expression in the Cross that life comes from death. When I researched the expression "there was evening and there was morning" I discovered that it only used in Genesis 1. Days don't usually start with evenings. This indicates that the days of Genesis 1 are not ordinary days. The Hebrew word for day Yom is a linguistic wildcard word that takes its meaning from the context it is in. For example, in Genesis 2:4, the entire 6 'days' of Creation plus the 7th 'day' of rest (which does not have an "evening and morning" concluding statement to it) are called a "yom" which most English translators render "week" - even though it is the same Hebrew word as Genesis 1 uses. 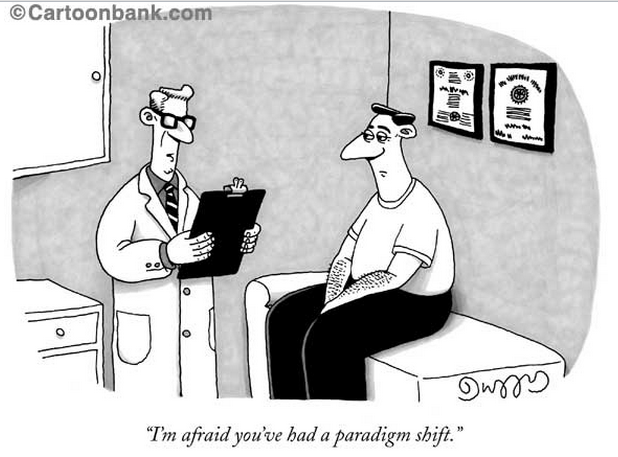 I include this paradigm shift as an essential part of my pastoral ministry. The tragedy of discovering these facts when I did was that it was about a year after my father inlaw died at an early age. In my time as a pastor I had met many many people who considered the God of the Bible as implausible because my Young Earth Creationism contradicted what the scientific data revealed about the origins of the universe and life. Far from there only being two options for the Christian (as the Young Earth Creationist movement suggests) there is a credible, Biblical, scientifically verifiable, way of reconciling what the Belgic Confession calls the "two books". This view is not evolution. An Old Earth view does not demand Evolution. Dr. Ross and his team at RTB have presented a Scientific Model in which is the immediate Creator of all biological prototypes including mankind's Adam and Eve. This view is thus faithful to the Gospel and consistent with all Scripture. 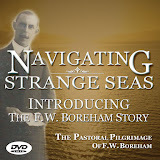 This has made a huge difference to my pastoring. Over the past few years we have seen University science students, medical students, and philosophy students, among our converts to Christ because they heard a credible way to reconcile the record of Scripture with the record of science. As Holly, a Bio-Science Uni student said recently at her baptism, "I thought all Christians were stupid until I came and heard Dr. Hugh Ross when he spoke in Launceston!" There's more I could share about how this paradigm shift has increased my pastoral effectiveness and made a more faithful preacher of God's Word, but it can wait until I share my other two significant paradigm shifts over the next two weeks. There has been a tendency, mostly from the YEC camp, to be very hostile to opposing views and labeling them as compromisers. I've heard a Christian talk show host call Dr. Hugh Ross an evolutionist, which is the worst insult this host could muster. I confronted him to repent of that libel and he stood by it so I avoid him. I wonder how many pastors and other saints say they are YEC because they don't want to face that heat? I appreciate that Andrew has humbled himself to admit a major change of mind, especially to a view that is unpopular. That is rare. I pray we can all show respect, love, and charity to all. Likewise, I have been in lectures at Alphacrucis where YEC belivers are scorned. People on both sides of the discussion can be and are just as bad as each other. Thanks for this article. This topic is a big topic in many different denominations. The fear is that some have is to remove the authority of scripture if we leave the YEC and affect how we view the gospel. But it doesn’t have to be this way. I believe the gospel story of redemption from the fall is secure even if we do not hold to a YEC. God is still our maker. I have believed in an old earth ever since I was 12 or 13 when at that time a debate in our church included the 24 hour day for Genesis One. I thought then of Peter's statement that to God one day is like a thousand years and a thousand years is like a thousand years. To me it was obvious that the days of Genesis One were God days and not human ones. When many years later i came across a few christian books (Francis Schaeffer had one-can't remember the title) and tried to share it with others ended up being called a Bible denier and an evolutionist. In my seventy years I have not seen anything to doubt the belief I gained when young. I must admit I struggled with evolution well into my fifties and thanks to RTB I received arguments to refute it.